We here at Mabry Lawn & Sprinklers are a family owned and operated business! We believe that the customer shouldn't be viewed as just profits and dollar signs like the big national brands do. We are here to serve the customer to the fullest and ensure that they are happy with the work and quality of the final product which is why we don't believe in using cheap parts and underpaid overworked staff. 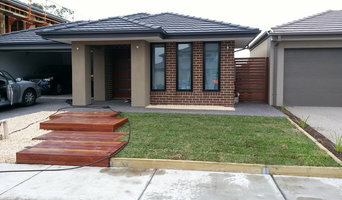 We take pride in all the projects that we take on and treat you like part of the family. Rufus Lopez spent much of his childhood learning about nature and how to maintain lawns and small machinery. 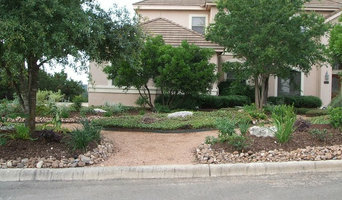 In 1998, when he was just 17 years old, he was afforded the opportunity to begin a landscaping company. After buying out Love Your Lawns, Rufus started residential landscaping and lawn maintenance, including his first commercial contract with Wal-Mart. Due to Rufus’ quality services and fair prices, his business quickly grew. He decided to name his company 9-1-1 Landscaping and Tree Services in an effort to emphasize the efficiency at which his crew can handle “emergency” lawn and home dilemmas, like dangerous tree limbs and damaged roofs. By the time Rufus entered college, he was gaining experience with various large-scale commercial projects. Since Rufus had developed a love for owning a small business and wanted to expand his knowledge, he decided to earn a Business degree in Entrepreneurial Studies. During his time attending school at St. Mary’s University, Rufus became equipped with the skills to manage and organize his business’ finances and marketing techniques. Presently, 9-1-1 Landscaping and Tree Services currently works with St Mary's University to help with maintenance, tree trimming, and landscape projects. (Remove: Rufus is Alumni from STMU.) 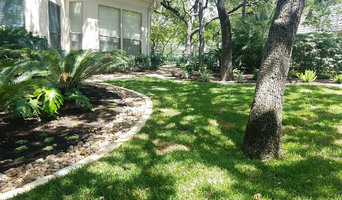 9-1-1 Landscaping's past work includes several Wal-Marts, the San Antonio VA Hospital, the Salvation Army, damage repair from Hurricane Rita, as well as many other commercial and large residential projects. Some of their recent jobs include the renovations of Oak Hills Terrace Elementary; The Malibu Castle Amusement Park, including rebuilding bridges, gazebos, retaining walls, and sidewalks; and St. P.J.’s Children’s Shelter, including irrigation, landscaping, and lawn maintenance. Rufus and his crew members have the experience and extensive knowledge to be considered true experts in their field. They promise to be accommodating to their customers’ needs and prove they are capable of completing numerous projects in a professional and timely manner. 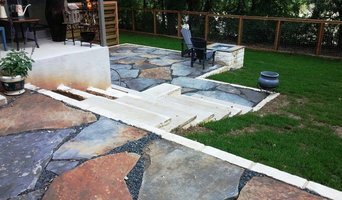 I’ve been in the landscaping field for about 7 years & ventured on starting my own business. 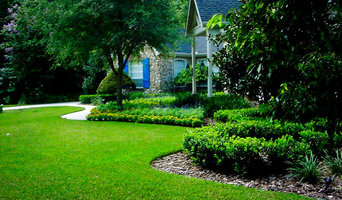 I provide the best quality possible & do my best to educate my clients on how to properly maintain their lawn & plants. My main focus is keeping my customers Happy!